Izzy Rhodes, Founder and Director of Swain Architecture. A new architectural firm has opened the doors of its Sadler Bridge Studios on Bold Lane in the heart of Derby city centre. Founded by Derby-resident Elizabeth ‘Izzy’ Rhodes, Swain Architecture will specialise in both commercial and residential high-specification builds in the Midlands and across the UK. Having trained at the Manchester School of Architecture and Nottingham University, Izzy has spent the past 11 years working on projects across the UK and Europe, at firms including Derby-based Simon Foote Architects, Leicestershire’s Brooker Flynn and HSSP and international firm Benoy Architects. Rhodes also sits on the Royal Institute of British Architects’ (RIBA) Education and Housing and Planning committees for the East Midlands and is an external examiner for the University of Nottingham’s RIBA Part III course. Commenting on the launch of Swain Architecture, Izzy said: “Architecture is my life-long passion and I’m delighted to launch my own practice. As opposed to churning out characterless ‘white boxes’, I consider contextualism to be very important, and each project should always relate to its surroundings and setting. The company’s portfolio of projects ranges from small-scale internal renovations and refurbishments to housing developments and commercial schemes. Current residential projects include a full refurbishment of an extensive plot in Northamptonshire and collaboration with renowned landscape architect James Alexander Sinclair, with a brief to create the ultimate garden entertainment room. The state of the art room will be disguised as a potting shed; and both projects will utilise local materials to fit the rural location. 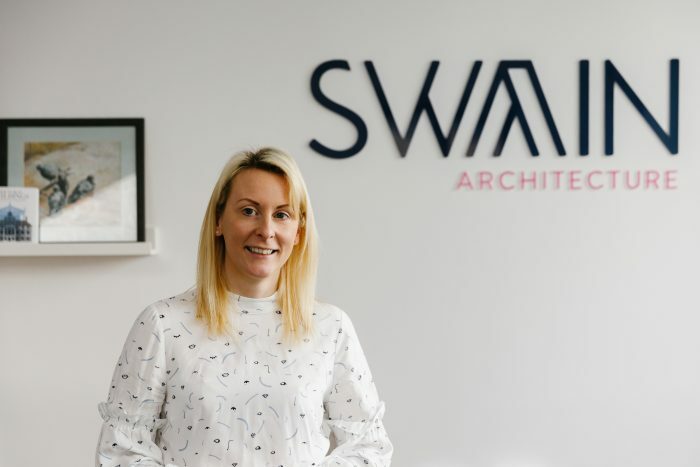 Swain Architecture has announced its intention to add to its current team of four, with plans to hire two new members of staff by the end of 2018.